The 'Hall Of Fame' stars returned to the Jingle Bell Ball in 2012 for an epic set. See the pictures of The Script at London's O2 Arena. 1. The Script hit the stage at London's O2 Arena. 2. The Script's frontman Danny O'Donoghue opens the band's set with 'For The First Time'. 3. Danny shows off his keyboard skills during the band's performance of 'The Man Who Can't Be Moved'. 4. The Script wows the 16,000 strong crowd at the Jingle Bell Ball 2012. 5. Irish band The Script sing 'The Man Who Can't Be Moved' as part of their set. 6. 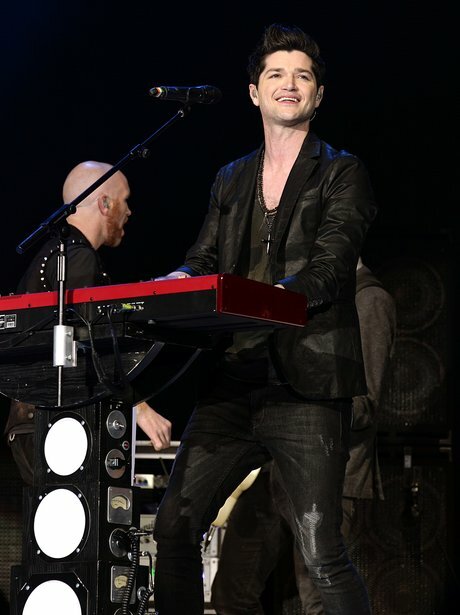 The Script's lead singer Danny takes a moment to enjoy the crowd at the Jingle Bell Ball. 7. The Script guitarist Mark Sheehan takes to the stage at the Jingle Bell Ball 2012. 8. Danny claps along with the band's hit single 'Six Degrees Of Separation' on stage. 9. 'Hall Of Fame' proves enormously popular with the 16,000 people filling the seats at the O2 Arena. 10. The Script close their set with hit single 'Hall Of Fame' at the Jingle Bell Ball 2012. 11. Crowds go wild for The Script at the Jingle Bell Ball 2012. 12. Danny shares a moment with the Jingle Bell Ball crowd at the O2 Arena.